WASHINGTON — U.S. health officials are investigating whether electronic cigarettes may trigger seizures in some people who use the nicotine-vaping devices. The Food and Drug Administration said Wednesday it has reviewed 35 reports of seizures among e-cigarettes users, mainly in young people. Regulators stressed it’s not yet clear whether vaping is responsible. But they said they’re concerned and encouraged the public to report information about the issue. These cases warrant “investigation into whether there is in fact a connection,” FDA Commissioner Scott Gottlieb said in a statement. Gottlieb is stepping down on Friday after nearly two years heading the agency. Cases go back to 2010 and were reported to the FDA or poison control centers around the country. Regulators said they detected an uptick in reports beginning mid-2018. While they represent a tiny fraction of Americans who have used e-cigarettes, many safety issues with foods, supplements and other consumer products can go unrecognized because reporting is voluntary. Most e-cigarettes heat a flavored nicotine solution into an inhalable vapor. The battery-powered devices have grown into a multibillion dollar industry though there are few standards, including how much nicotine they deliver. Additionally, many refillable e-cigarettes can be used with nicotine formulas of varying strength. Nicotine poisoning can cause seizures, convulsions, vomiting and brain injury. The FDA has previously warned of potentially fatal nicotine poisoning in infants and children who accidentally swallowed nicotine solutions. Seizures usually last a few seconds or minutes and rarely cause permanent injury. But they can be a sign of underlying neurological disorders that need medical attention. The agency said the handful of seizure reports often lack information about the brand of e-cigarette or whether users had a medical condition that might have contributed. 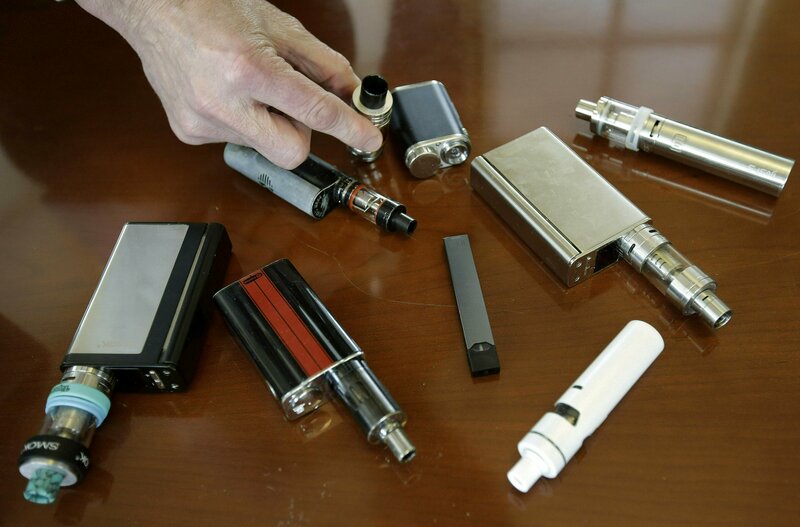 In some cases, e-cigarettes were being used with drugs like marijuana and amphetamines. Some seizures were reported after just a few puffs of the device, others after a day of use. The FDA is asking consumers to report problems to an online site. The agency is seeking details about vaping brands and models and whether users who have experienced problems were also taking medications, supplements or other drugs. It’s not the first time the FDA has flagged a potential health hazard with vaping devices — the agency has warned of rare burns and explosions related to overheating of batteries that power the devices. The latest concern comes amid a nationwide push to fight underage use of e-cigarettes, which have surged in popularity among high school and middle school students. Last month the FDA outlined new restrictions on retail and online sales of most flavored e-cigarettes. Meanwhile, local and state officials are considering age restrictions, taxes and flavor bans to keep the products away from teenagers.